EU has lately experienced large inflow of immigrants from non-European countries where women account for 45 % of migrants with an employment rate 16.9% lower than of women of EU nationality (Employment in Europe 2008). Among this group there is a large number of women with low educational/working experience, dependent on social welfare (Eurostat, 98/2008). During several years this partnership has been working with this group through different activities to break their social isolation, so called “ICE-BREAKING” activities. According to the statistics from partners only 5% of 12250 participating in “ICE-BREAKING” activities managed to enter the labour market. According to the partner’s experiences, the main barrier for entrance to labour market is a lack of vocational /professional education. In EU, VET requires key competences to be met for attendance. The reasons that the target group does not seize the opportunity to use the pre-vocational training in order to gain the core competences are low self-esteem, complexity of information and lack of prior references. The overall objective of the project is to assist the target group to enter pre/vocational education. To meet this goal, we need to further develop the “ICE-BREAKING” activities to an “EMPOWERMENT KIT” consisting of modules in self-esteem activities, informational kit about VET /labour market c) counselling by bilingual mentors and educational counsellors d) individual action plan. Stakeholders (non-European immigrant women, NGOs and social welfare authorities) are today involved in the partners “ICE-BREAKING” activities and will be participating in the proposed project. 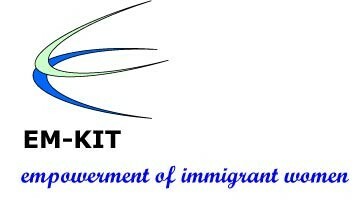 Bilingual mentors will be engaged though the NGOs active among the non-European immigrant population. The “EMPOWERMENT KIT” will strengthen women’s key competences regarding: a) possibilities for pre- and vocational courses and criteria, c) labour market opportunities d) cultural understanding of education and work in host country.